CAPE CANAVERAL — A windowless, robotic space shuttle with stubby wings, two tail fins, its belly covered with black thermal tiles, clam-shell doors that swing open to reveal a small payload bay and a solar array that unfurls for powering ultralong-duration missions rode back into orbit Wednesday on the fourth mission of the Air Force’s reusable X-37B spaceplane project. Known as Orbital Test Vehicle mission No. 4, the craft was boosted into low-Earth orbit by a two-stage United Launch Alliance Atlas 5 rocket that lifted off at 11:05 a.m. EDT (1505 GMT) from Complex 41 at Cape Canaveral Air Force Station in Florida. “It’s really for cool things. For instance, it goes up to space but, unlike other satellites, it actually comes back. Anything that we put in the payload bay that we take up to space, we can now bring back, and we can learn from that,” Gen. John Hyten, the head of Space Command, told CBS News on its “60 Minutes” program last month. But the military won’t say which of its two X-37B spaceplanes launchd today, the first craft which has flown twice or the second vehicle that has flown once. “No, that information is not releasable due to operational objectives,” said Air Force spokesman Capt. Chris Hoyler. Today’s uneventful launch countdown lasted seven hours, as the rocket was initially powered up, put through its testing protocols, then fueled with supercold liquid oxygen and liquid hydrogen. Remarkably, it was the 21st consecutive Atlas mission to fuel-and-launch on a single countdown attempt dating back to OTV No. 3 in 2012. The 20-story-tall, 757,000-pound launcher billowed a plume of steam from the flame trench, then lumbered ever so slowly off the pad in the Atlas 5’s 501-variant that doesn’t use solid-fuel boosters for an added kick of thrust at liftoff. Instead, it was the RD-180 main engine, making its 60th flight with 100 percent success, providing 860,000 pounds of thrust and all the power for the first four-and-a-half minutes of flight, flawlessly sending the rocket eastward above the ocean. 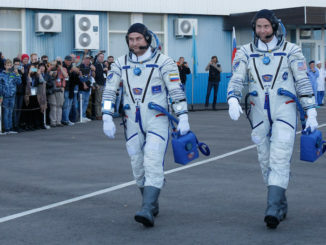 The launch had the codename Air Force Space Command 5, or AFSPC 5, and flew aboard the rocket with a tailnumber AV-054. Today marked the 54th flight for Atlas 5, born of the Air Force’s competition to develop next-generation Evolved Expendable Launch Vehicles. In its 54 missions since debuting in August 2002, the Atlas 5 has flown 20 flights dedicated to the Defense Department, 12 for NASA, 11 with spy satellites for the National Reconnaissance Office. and 11 commercial missions with communications and Earth-observing spacecraft. The first separation event was performed when the rocket’s 18-foot in diameter payload shroud and load-supporter were jettisoned to unveil the X-37B to space just shy of four minutes into the flight. Staging soon followed as the spent first stage dropped away and the cryogenic RL10C-1 engine on the Centaur upper stage was lit. 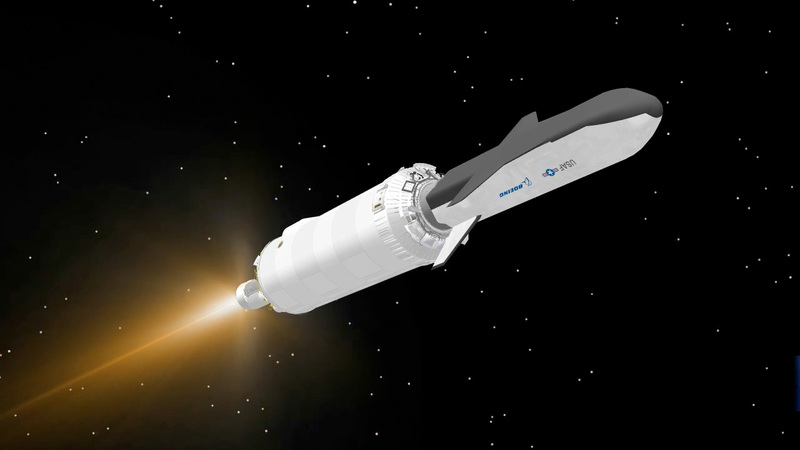 A single firing by Centaur was all that was needed, a 13-minute burn that heaved the OTV into the desired orbit. 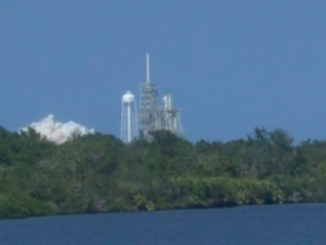 Deployment of the spaceplane occurred about 19 minutes after liftoff. The Centaur later performed another burn and deployed a fleet of tiny Cubesats into a separate orbit, including The Planetary Society’s LightSail solar-sail testbed. It was the third Atlas 5 launch of the year and the program’s sixth use of the 501-configuration. For ULA, this was its 96th mission overall since 2006, the 46th Atlas 5 to fly under the company’s banner and fifth combined Atlas and Delta flight of the year. One-quarter the size of NASA’s now-retired space shuttle orbiters, the unmanned X-37B conducts its mission and then autonomously returns to Earth, braking from orbit, plunging through the atmosphere and gliding to a pinpoint touchdown on a conventional runway to be refurbished and reused. 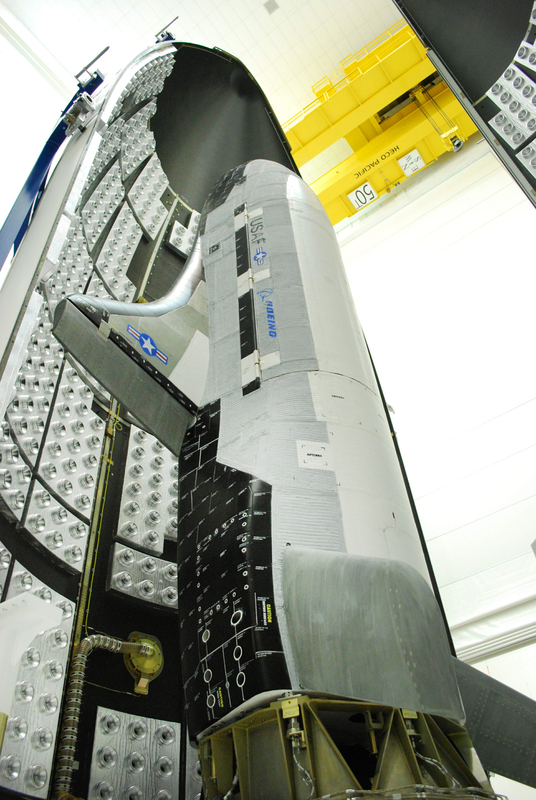 The Air Force has publicly disclosed two experiments flying aboard OTV No. 4. The first is characterizing the performance of design modifications to electric propulsion ion thrusters used aboard the military’s Advanced Extremely High Frequency communications satellites. The other is a NASA-led advanced materials investigation that features nearly 100 quarter-sized samples of polymers, composites and coatings that will be exposed to the space environment. 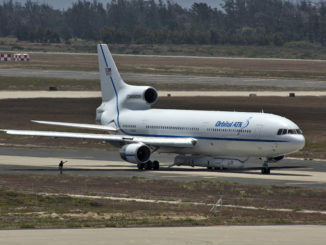 The craft’s unique capability to drop from orbit and land on a runway allows technicians to get their hands on the hardware after it spent considerable time in space. Built by Boeing’s Phantom Works division, the spaceplane is 29 feet long with a wing span of 15 feet, made of light-weight composite structures instead of aluminum and shielded with improved leading-edge ceramic insulation panels on its wings and tougher silica tiles affixed to its belly that are designed to be more durable than first-generation tiles used on the space shuttle. It can weigh up to 11,000 pounds fueled for launch. Unlike the space shuttles that used cryogenic liquid hydrogen and liquid oxygen reactants to generate electricity through onboard fuel cells, limiting the mission lengths by the amount of consumables that could be carried, the OTV is powered by a deployable solar array. The longest shuttle flight was 18 days. A collection of ten Cubesats also hitched a ride into low-Earth orbit aboard the Atlas 5 rocket and were to be deployed a few hours after the X-37B spaceplane. Together, the Cubesats are known as ULTRASat, or the Unique Lightweight Technology and Research Auxiliary Satellite. They rode inside eight Poly-Pico Orbital Deployers built by the California Polytechnic State University in San Luis Obispo and the P-PODs were packaged in the Naval Post-graduate School’s box-like CubeSat Launcher affixed to the Centaur upper stage next to the RL10 engine. The National Reconnaissance Office and NASA sponsored the ULTRASat launch. * USS Langley: One 3U CubeSat from the U.S. Naval Academy to demonstrate the ability to host a web server aboard a CubeSat. * BRICSat-P: The Ballistically Reinforced Communication Satellite – Propulsion Test Unit is one 1.5U CubeSat from the U.S. Naval Academy and George Washington University. It will characterize the performance of miniature pulse plasma thrusters. * Psat: From the Naval Academy is one 1.5U CubeSat called ParkinsonSat. It is a communications payload with two transponders operating in the Amateur Satellite Service. * GEARRS: One 3U CubeSat from Near Space Launch and Air Force Research Lab is the Globalstar Evaluation And Risk Reduction Spacecraft to demonstrate the use of the Globalstar constellation as a path for near continuous command and control of low-earth orbit space vehicles. * AeroCube-8: The Aerospace Corporation, MIT and eSpace have teamed for two 1.5U CubeSats to demonstrate NRO-funded research and development of Carbon Nanotube and Scalable ion Electrospray Propulsion system. * Optical CubeSat: California Polytechnic State University built three 3U CubeSats to provide on-orbit targets as calibrate sensors for orbital debris studies. Society designed to demonstrate the viability of using solar sailing for propulsion. The burgeoning Cubesat field allows technical organizations and schools the fly low-cost payloads into space, piggybacking on available rockets launching primary payloads that offer up some spare performance for the mini passenger payloads. Another batch of cubes is scheduled to launch aboard an Atlas 5 rocket later this year. That National Reconnaissance Office NROL-55 mission from Vandenberg Air Force Base in California will deploy the Cubesat collection dubbed the Government Rideshare Advanced Concepts Experiments, or GRACE mission. The next launch for the Atlas 5 is planned for July 15 carrying another replacement satellite to bolster the Global Positioning System.